Educationalists agree that the best means of judging school performance are ‘value-added’ measures which assess progress made by students over the course of their studies. At A level, different systems exist for this purpose, with each measuring value-added in a slightly different way. 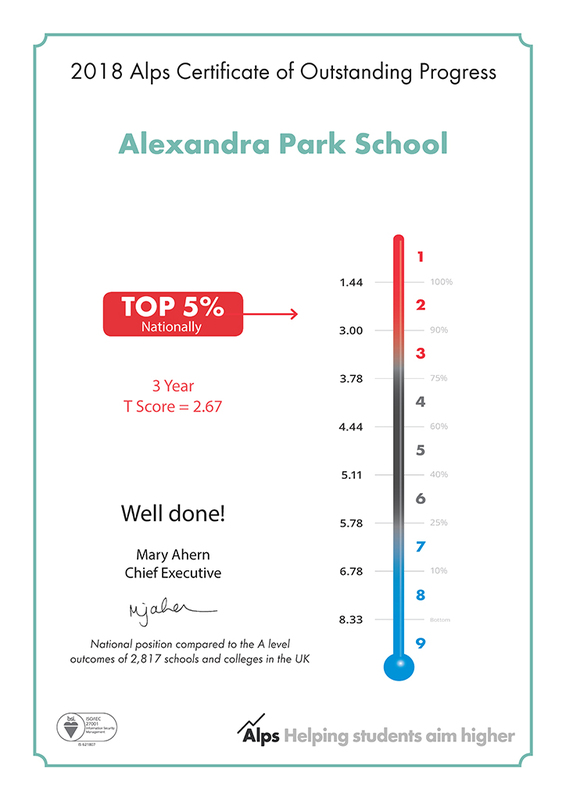 At Alexandra Park School we have always prioritised the A Level Prediction System. This is widely considered to be the ‘toughest’ measure as it assesses value-added purely on the successful completion of A level courses. This does not include the subsidiary qualifications that some students sit at the end of year 12, nor other certificated options completed as part of enrichment studies, which whilst of undoubted value, can give a misleading impression of progress in the most important national measures.